Who doesn’t need a brain break around the holiday season? Pink Oatmeal is here to make it easier for you. Today we are sharing a set of brain break cards for FREE. The Reindeer Run set of brain break cards for each of Santa’s Reindeer. They are designed to be fast, fun, and effective! 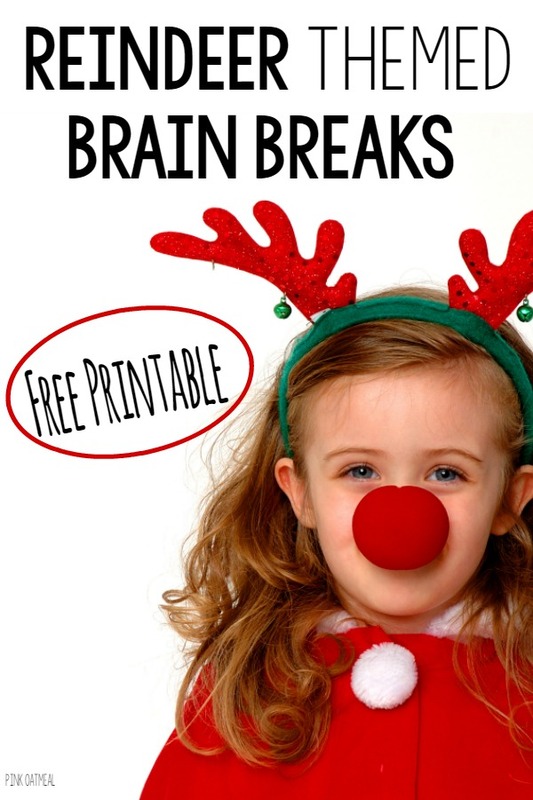 The Reindeer Run brain break printables are designed so that they can be done in small spaces. You can determine the amount of reps, duration of time, or distance based on your needs and your settings. There are 9 brain breaks included in the set each to represent Santa’s Reindeer! Grab These When You Subscribe To the Freebie Library! The brain break cards are 4 per sheet. 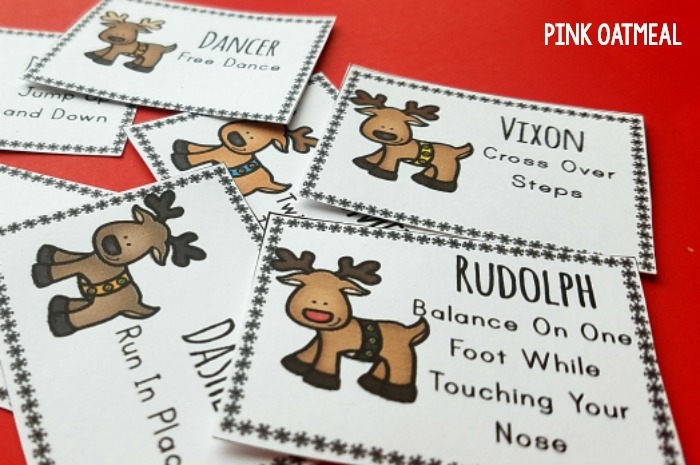 There is a brain break card for Dasher, Dancer, Prancer, Vixen, Comet, Cupid, Donner, Blitzen and of course Rudolph! As always, reindeer to the rescue! Thanks for the graphics and ideas. I love using these in the bit of yoga that I share with the mother’s day out kiddos at my church! I teach this after I teach chair yoga for the adults. Sometimes we do kids yoga in adult yoga class, as they so enjoy it too! I love that way of using them with the adult class! Hope they and the kids have a blast! Can I print the Reindeer Movement Cards separately or do I have to buy them with a bundle? It says I can get them after I subscribe which I did, but I can’t see to find where to click to get them. Thanks! Once you confirm your subscription you will get an email with the link! Email me at [email protected] if you still have questions!